DOUBLE PLATINUM women's and children's dancewear styles for sale online in a variety of popular styles. Double Platinum Child Emballe Jazz Cut Briefs N7341C: A dancer can never have too many briefs, especially when they come in such bold and beautiful Emballe colors! These Emballe briefs feature a jazz cut leg line and an elastic waistband. Complete your dance costume with the other mix-and-match Emballe pieces. Double Platinum Girls Sequin Mock Neck Dress N7310C: Sparkle with the glitz and glamour of Broadway in this sequin halter dress! Features include all over sequin fabric, a high mock neckline with clear plastic clasp closure, matching metallic back straps and trim, and front and back lining. Also included is a complementary pair of briefs. Double Platinum Womens Mesh Short Sleeve Leotard N7224: Stand out in this cap sleeve leotard featuring a mock neck, mesh sleeves, solid empire waist front, single back neck closure, and an exposed back with a single band across the back.White is front and back lined. Double Platinum Girls Strappy Back Long Sleeve Dance Crop Top N7531C: A classic top perfect for performance or rehearsal! Bra top features a mock neck, long sleeves, snap neck closure, and a strappy back. Double Platinum Womens Strappy Back Long Sleeve Dance Crop Top N7531: A classic top perfect for performance or rehearsal! Bra top features a mock neck, long sleeves, snap neck closure, and a strappy back. Double Platinum Adult Emballe Camisole Bra Top N7244: A performance outfit staple! This camisole bra crop top features a sweetheart neckline and bodice lining. Mix and match with your favorite performance pieces to create the perfect look! Double Platinum Adult Elbow-Length Satin Gloves 8B: Accessorize your performance look or your favorite costume with these elegant satin gloves! Double Platinum Girls Performance Lace Mock Neck Asymmetrical Dress N7561C: Create an elegant and sophisticated stage-ready look with this flowing performance dress - featuring a mock neck with side snap button closures, an eye-catching front cutout, a side cutout, an attached asymmetrical mesh drape skirt, and all over floral lace overlay. Double Platinum Womens Performance Lace Mock Neck Asymmetrical Dress N7561: Create an elegant and sophisticated stage-ready look with this flowing performance dress - featuring a mock neck with side snap button closures, an eye-catching front cutout, a side cutout, an attached asymmetrical mesh drape skirt, and all over floral lace overlay. Double Platinum Womens Mesh Long Sleeve Leotard N7228: Dare to be different in this long sleeve leotard featuring a mock neck, a center inverted V mesh insert, diagonal mesh sleeve inserts, single back neck closure, oversized keyhole, back mesh insert, and a jazz cut legline.White is front and back lined. Double Platinum Womens Asymmetrical Mesh Long Sleeve Leotard P719A: Dare to stand out in this stunning leotard by Double Platinum - featuring long mesh sleeves, asymmetrical front and waist inserts, a single neck closure, and a small back keyhole. Double Platinum Womens Sequin Lace 2-Piece Dance Costume Set N7563: Dazzle the audience! This sparkling 2-piece set includes a bra top featuring tank straps, a strappy front, and a sequin lace overlay. Set also includes matching briefs featuring a high waist, a wide elastic waistband, and a sequin lace overlay. 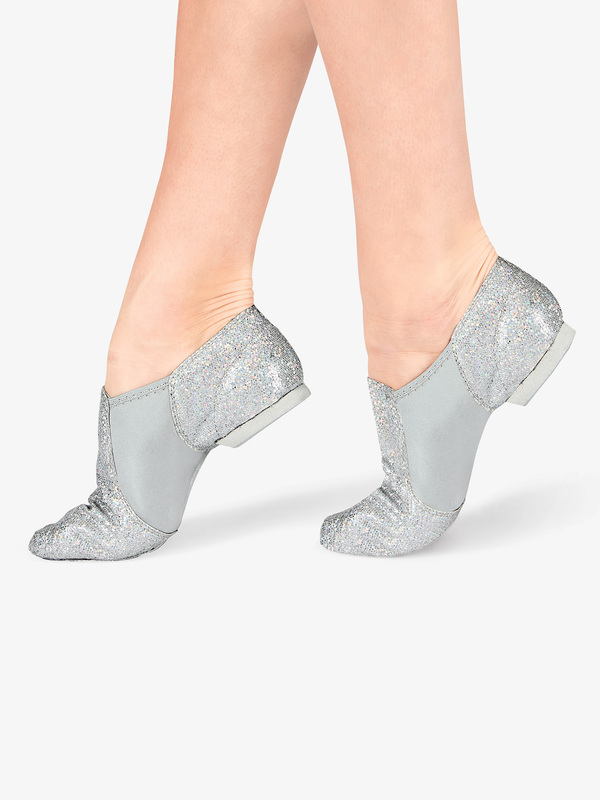 Double Platinum Adult Glitter Jazz Shoes DAZZLE: Dazzle the crowd in these amazing split sole sparkly jazz shoes! Features a matching neoprene stretch arch insert and a man made sparkle dot-inch fabric that is sure to shine on stage! The perfect performance shoe! 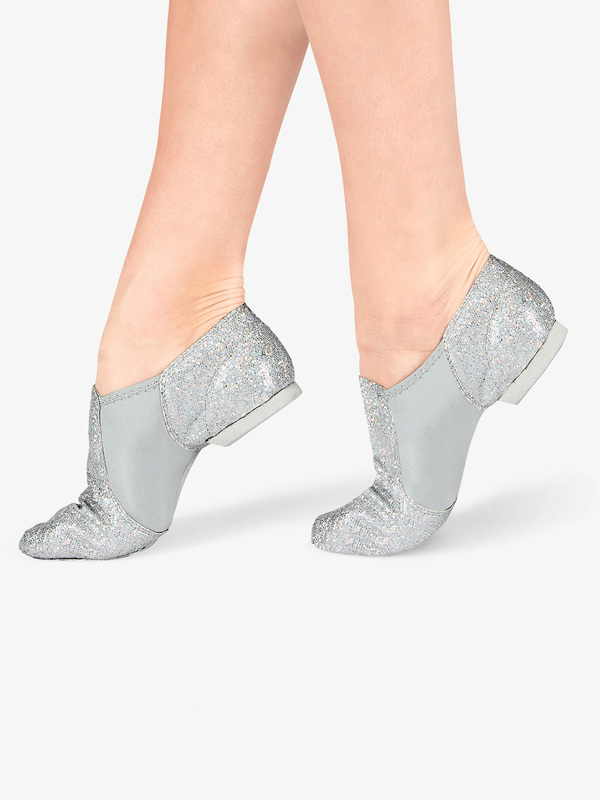 Double Platinum Girls Glitter Jazz Shoes DAZZLEC: Dazzle the crowd in these amazing split sole sparkly jazz shoes! Features a matching neoprene stretch arch insert and a man made sparkle dot-inch fabric that is sure to shine on stage! The perfect performance shoe! Double Platinum Girls Holly Print Tank Dress Set N7506C: Deck the halls in holiday cheer! 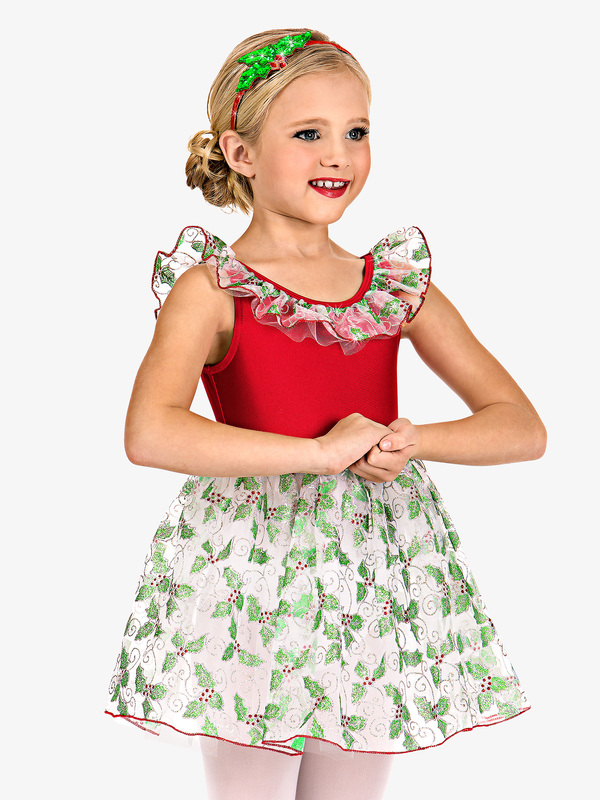 This festive set features a red babydoll tank tutu dress with a shimmery silver, green, and red holly glitter-printed organdy neckline ruffle with red stitched trim, soft red stretch neckline trim, a white organdy skirt with a matching holly glitter-printed organdy top skirt, and an attached white leotard. A festive red glitter headband with attached silver, green, and red holly leaf sequin applique is included for a complete holiday performance or recital outfit! Double Platinum Womens Performance Open Shoulder Long Sleeve Dress N7700: Define elegance in this flowing mesh dress by Double Platinum. Dress features a v-front, mesh long sleeves with finger loops, flattering shoulder cutouts, camisole straps for support, a sweetheart bodice, mesh side inserts, a mesh back, an attached mesh long skirt with slits, and attached briefs. Double Platinum Womens Performance Sequin Lace Long Sleeve Leotard N7530: Designed with eye-catching detail, this performance leotard features a mock neck, long sleeves, a sweetheart bust, a sheer sequin lace overlay, a clear neck closure, and an open back with strappy detail. Double Platinum Womens Double Strap Lace Insert Tank Leotard N7644: Drape your solo in elegance in the Natalie lace performance collection. This classic leotard is ideal for ballet group work or solos with its elegant lace bodice overlay, diamond front panel, halter neckline with x-back straps, low back, and a traditional ballet cut leg line. Double Platinum Womens Lace Camisole X-Back Leotard N7643: Drape your solo in elegance in the Natalie lace performance collection. This classic leotard is ideal for ballet group work or solos with its elegant lace bodice overlay, sweetheart neckline, crisscross camisole straps on the plunging back, and a traditional ballet cut leg line. Double Platinum Girls Lace Upper Tank Leotard N7645C: Drape your solo in elegance in the Natalie lace performance collection. This classic leotard is ideal for ballet or contemporary groups with its elegant lace bodice overlay on the front and back, solid brief, and traditional ballet cut leg line. Double Platinum Womens Lace Upper Tank Leotard N7645: Drape your solo in elegance in the Natalie lace performance collection. This classic leotard is ideal for ballet or contemporary groups with its elegant lace bodice overlay on the front and back, solid brief, and traditional ballet cut leg line. These and more Double Platinum by Natalie Dancewear styles for women and girls on sale at Discount Dance Supply.